2016- Research Coordinator, Hyytiälä Forestry Field Station, University of Helsinki. 2002-2016 Administrator, Hyytiälä Forestry Field Station, University of Helsinki. 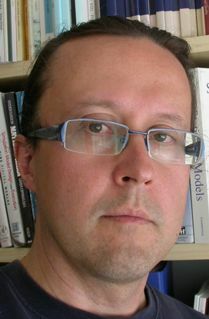 2002-2007 Research Fellow, Academy of Finland. 1999-2002 Senior Research Scientist, Section of Ecology, Department of Biology, University of Turku. 1998 Senior Assistant, Section of Ecology, Dept. Biol., University of Turku. 1998 Researcher, Section of Ecology, Dept. Biol., University of Turku. 1997-1998 Post-Doctoral Researcher, Cooperative Research Centre for Tropical Pest Management and CSIRO Entomology, Brisbane, Australia. Kaitaniemi, P., Lintunen, A., Sievänen, R. & Perttunen, J., Nov 2018, In : Ecological Informatics. 48, p. 171–177 7 p.
Sievänen, R., Raumonen, P., Perttunen, J., Nikinmaa, E. H. & Kaitaniemi, P. J., 2018, In : Annals of Botany. 122, 3, p. 423-434 12 p.
Lintunen, A., Kaitaniemi, P., Perttunen, J. & Sievänen, R., 2013, In : Canadian Journal of Forest Research. 43, 10, p. 929-938 10 p.